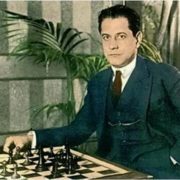 In November – December 1901 12-year-old Capablanca defeated Corso. 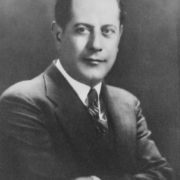 The following year, Capablanca played in Cuba’s championship for the first and the last time. At that time Corso won. 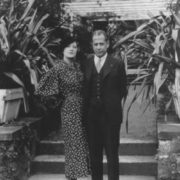 In 1904, Jose Raul moved to New York to attend a private school and learn English. He became a frequent visitor to the Manhattan Chess Club. 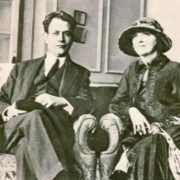 In 1906, he entered the university, where he studied chemical engineering. Two years later he left the university to focus on chess career. 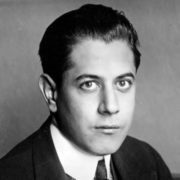 In 1909, Capablanca toured the US. 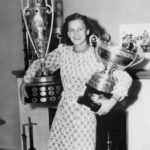 He played with one of the strongest chess players of the world – Frank Marshall. 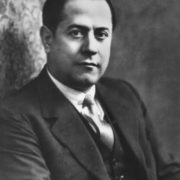 Marshall was a favorite and Capablanca’s victory was unexpected. 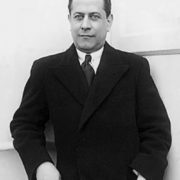 In 1911, Capablanca took the first place at a major international tournament in San Sebastian. 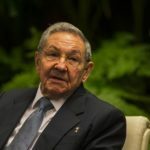 In 1913 he began working in the Ministry of Foreign Affairs of Cuba. 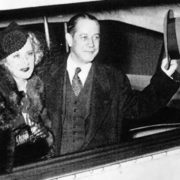 During the First World War, Capablanca lived in New York, where he confidently won three tournaments. 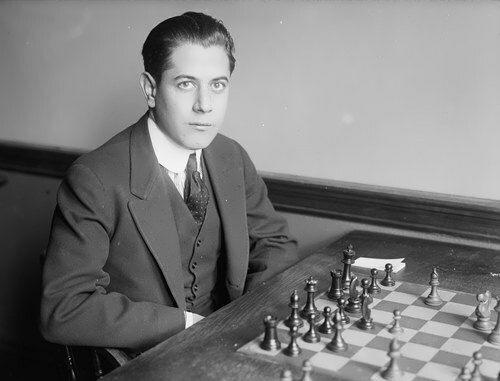 In 1920, Capablanca published his autobiography My Chess Career. 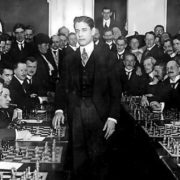 In 1921, Capablanca became world champion. 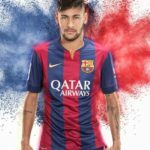 In the same year, shortly after the match, he married Gloria Simoni Betancourt, who gave birth to two children. 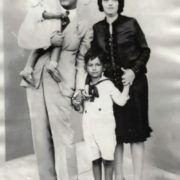 Their son was born on January 2, 1923 and their daughter was born on June 23, 1925. 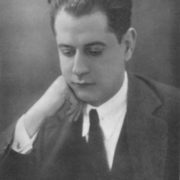 In 1927, Capablanca lost to Russian chess player Alexander Alekhine at the match for the world championship held in Buenos Aires. 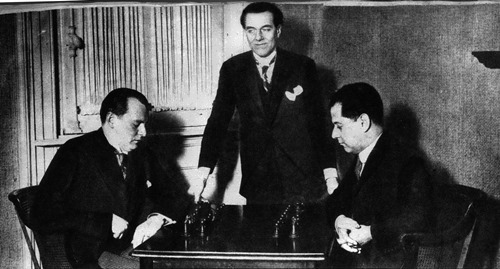 In 1936, Capablanca won the 3rd Moscow International Tournament. 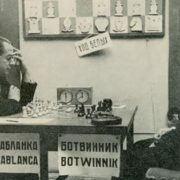 Then Capablanca shared with Botvinnik the first place in the tournament in Nottingham. 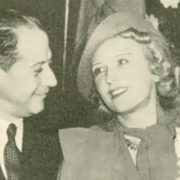 In 1934, Capablanca met Olga Chagodaeva, Russian emigrant, and married her in 1938. 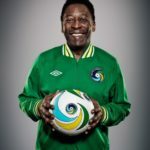 In 1939, he took part in the World Chess Olympiad, where he played for the national team of Cuba and became the champion. 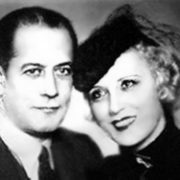 Jose Raul Capablanca died on March 8, 1942 in New York. 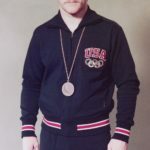 During his career he had played 603 games, won 318 and lost 34.